The NEXIQ Technologies 124032 USB-Link 2 Connector at OBD2TOOL allows PC-to-vehicle connection with an interface compatible with multiple software applications. It will minimize your investment in multiple brand-specific diagnostic interfaces so you can do more tasks with fewer tools. Perhaps the largest design change is where the cables attach to the NEXIQ USB Link 2. The original USB Link used a standard 15-pin connector, and life was good. There were a ton of aftermarket cables available, all of which sold for under $40. This included replacement 6/9 pin cables, OBDII cables, Volvo 8-pin & 14-pin, Cummins 3-pin, and many more. With the new adapter, Nexiq has changed to a 26-pin connector as shown below. While we can’t find a reason for this on the Nexiq website, we can only assume that this is to handle the new CAN2 protocol standard. Since there are no aftermarket cables available for this, it means the “extra” cables got very expensive — Over $200 for most of them! Until there is a good aftermarket solution, there won’t be much that can be done. You might laugh at the Rolex comment but the similarities are frightening. When you receive the products, lay the watch and USB-Link out side by side. From a few feet away it looks like you made a great buy. Step closer and that knot will start to tighten in your stomach. You’ll soon realize that maybe this was not a good idea. When you start to really look at the units you will see that the little hands are really just printed on the Rolex face. Now look at your USB-Link and the three led’s that are on the non-U.S. manufactured USB-Link are printed on the sticker. vt55 ateq OBDII kit includes a universal OBD connector which connects to the vehicle ECU via CANbus and K-line. Tecnicians only need to select the make of the vehicle and press the START button. It is that easy and fast to accurately activate and decode TPMS sensors and display their data or any faults they may have. What’s the Advantage of Nexiq USB Link 2 ? 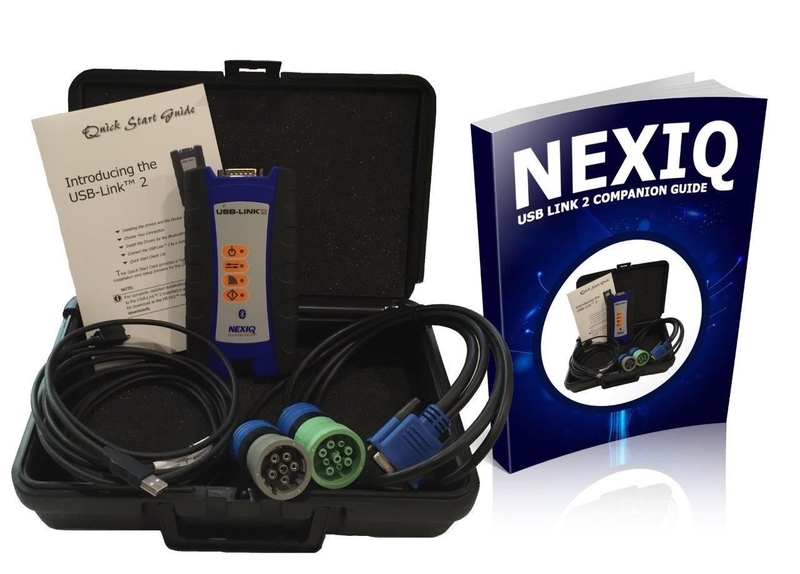 In early 2015, Nexiq Technologies discontinued the “tried and true” original Heavy Duty Diagnostic Tools Nexiq USB Link. This adapter had been around for around 7 years, and was wildly popular. One of the main reasons that the Nexuq USB Link became so popular was because of their distribution. Nexiq is 100% owned by Snap On, so between the large marketing spends, industry trade shows, and Snap On tool trucks, Nexiq has an unmatched distribution network. The other large source of their distribution comes from formal truck dealerships, as Nexiq is the recommended product for various truck manufacturers such as International, Freightliner, and many others. Compare with NEXIQ 125032 USB Link and T71 truck diagnostic tool , NEXIQ 2 is working more Faster and Powerful. It is the the Next Generation of NEXIQ 125032 USB Link. Nexiq is the recommended product for various truck manufacturers such as International, Freightliner, and many others. The TPMS Tool Kit from ATEQ Corp. consists of VT-55, an OBDII Programmer, charger, software and is now available in a red carrying case. This tool triggers all import and domestic vehicles in just seconds.The kit currently writes to Honda, Toyota, Subaru, Hyundai, Kia and Nissan ECUs. The TPMS Tool Kit displays and stores up to five sensors, and allows information to be printed. The device resets the TPMS light within three minutes. ATEQ’s VT55 OBDII TPMS diagnostic tool. The best way to turn the tire warning light OFF ! On top of the US manufactured vehicles, the ATEQ VT55 OBDII reprograms Asian or European vehicles (including Toyota, Honda, Nissan, Hyundai, Kia, Mitsubishi, etc) which do not feature a TPMS self reprogramming software.